Oh boy, do we have a special treat for you! 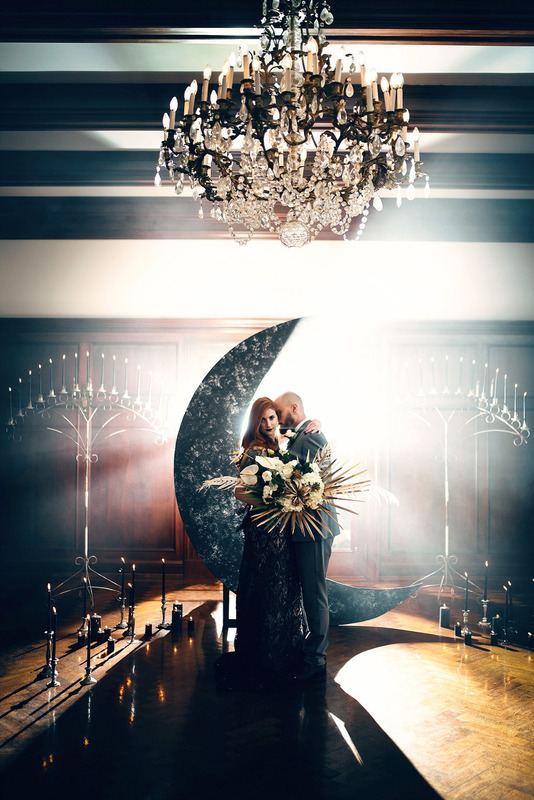 Kristen Mittlestedt Photography along with a team of vendors put together this shoot with one goal in mind: to offer a bold take on intimate weddings + elopements alike with a trendy celestial design that’s alllll drama. 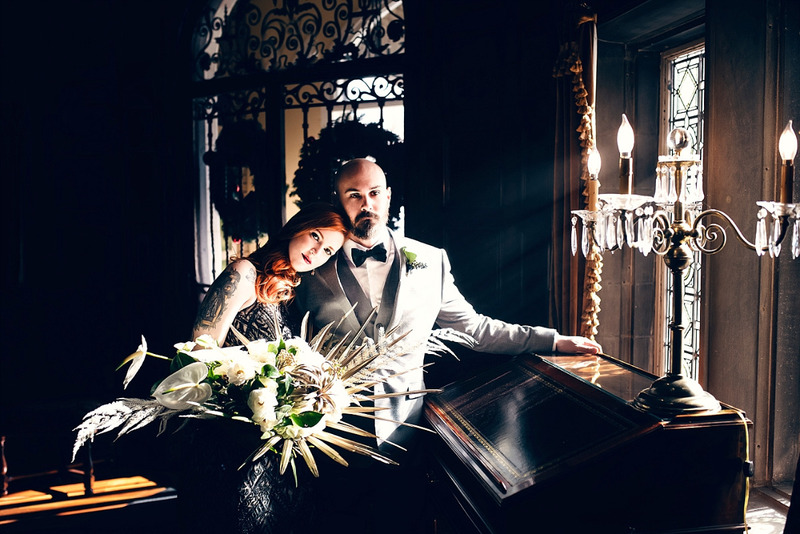 A mix of light and dark elements were used throughout to create a beautiful contrast that’s almost haunting...and speaking of, the amazing venue, Laurel Hall, is rumored to be haunted in RL. Oooooh! 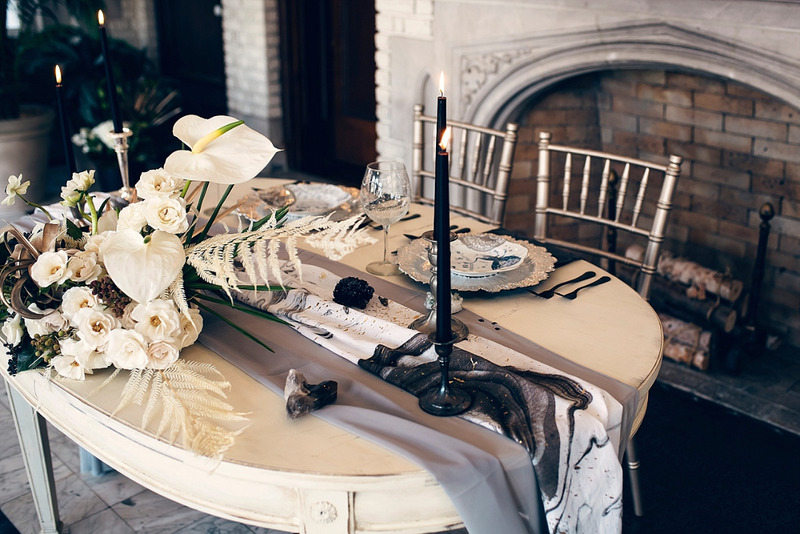 Eerie and oh so romantic, we hope you feel inspired to think outside the box for your wedding. Read more about the details below and catch a closer look in the full gallery, if you dare. 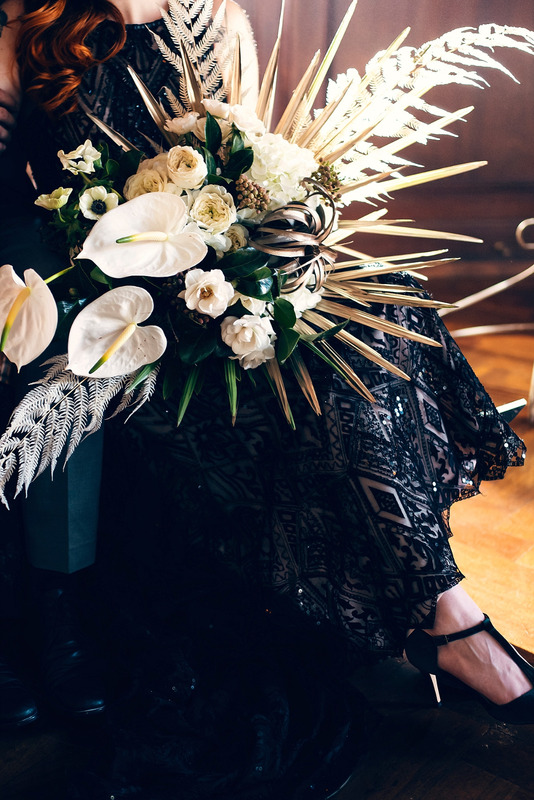 Shelby and William are a real couple who are very eclectic in nature. 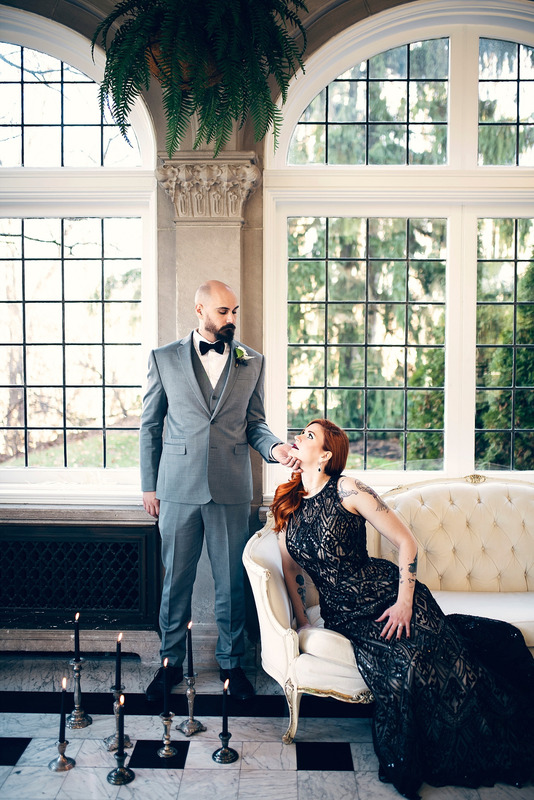 Although this was a styled elopement, we wanted to stay true to their vibe. 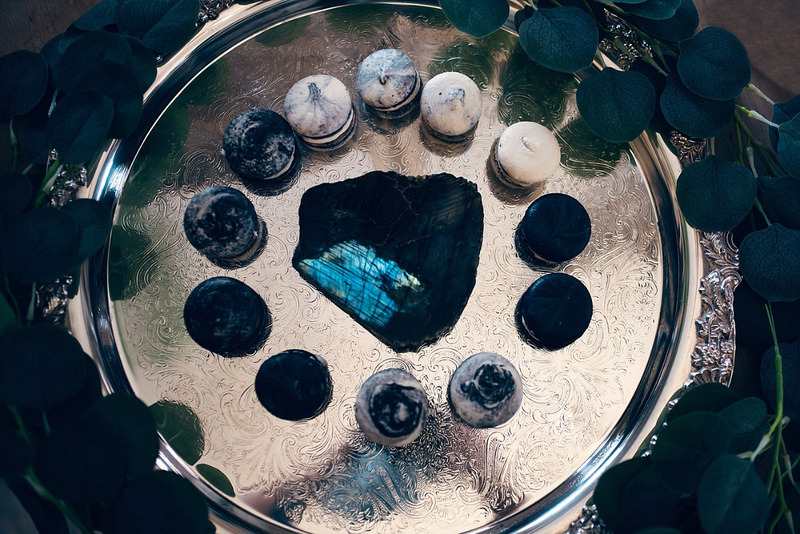 We decided on a celestial theme because of Shelby's obsession with the moon. 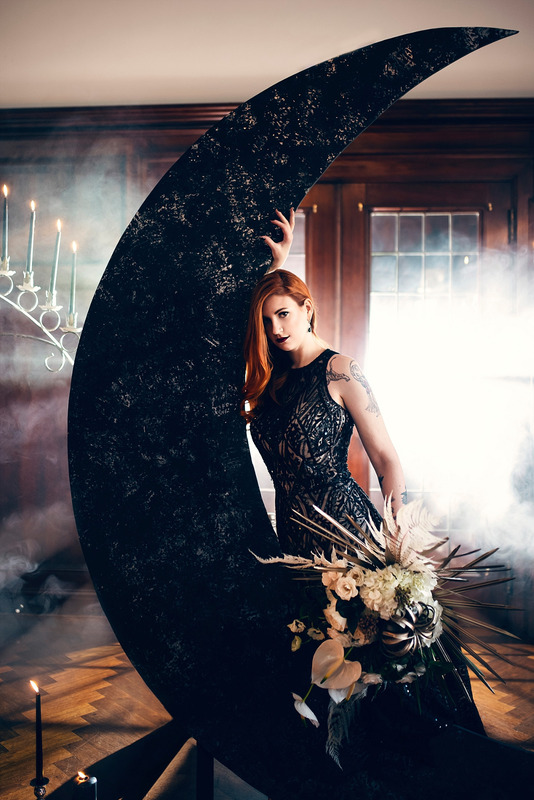 The 8ft moon alter was custom built by my team. 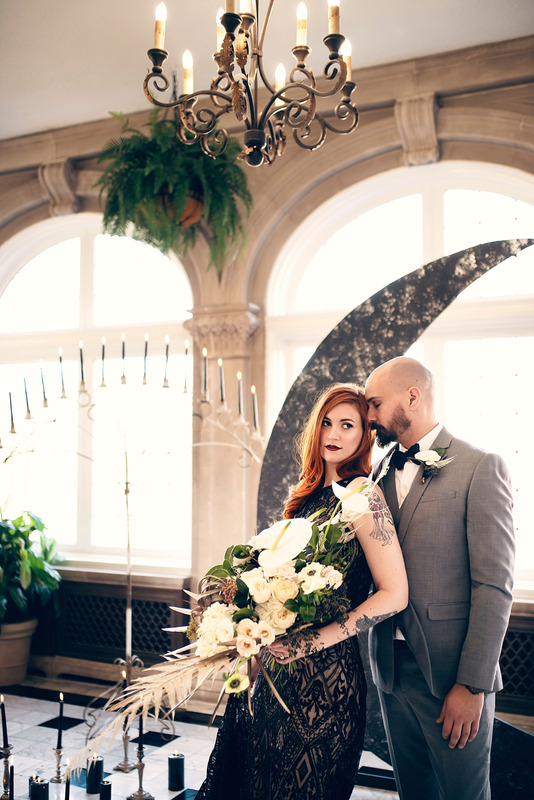 Since we wanted this "elopement" to take place on New Year's Eve, we decided to make the moon a Waning Crescent, since that is the moon phase for December 31st, 2018. 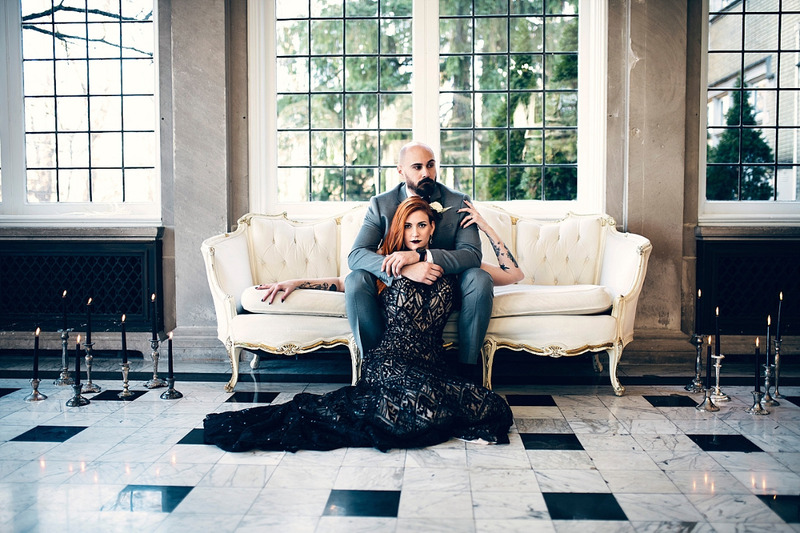 The goal of this shoot was to give a bold and dramatic take to an elopement. 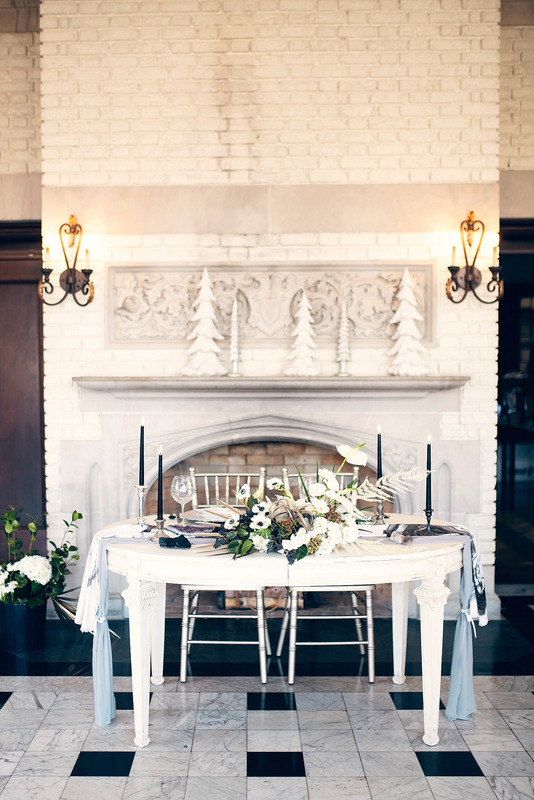 The ceremony arbor was set in front of a glass set of doors and surrounded by candles. Inspired by moonlight, we used a bright light behind the moon to illuminate the arbor. 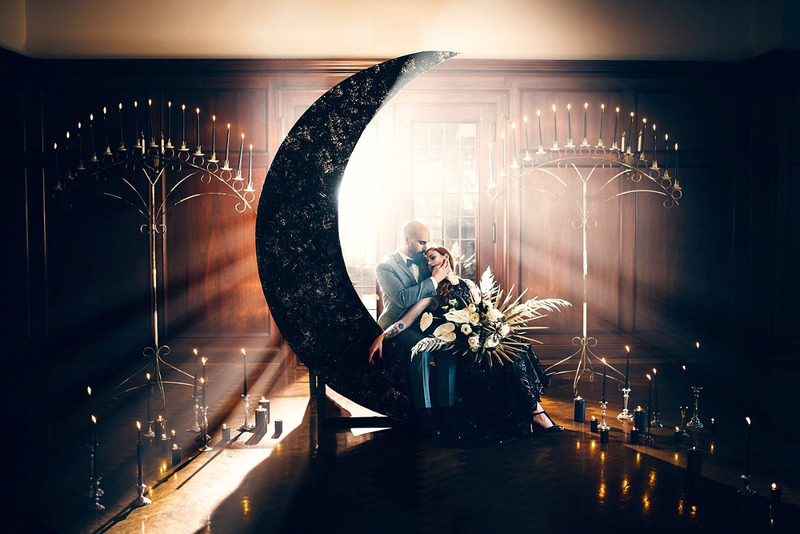 Backlit wedding arbors have always been dramatic, but to step up the game, we added a soft amount of fog to bring out the light beams shining around the moon giving an exploding star effect. 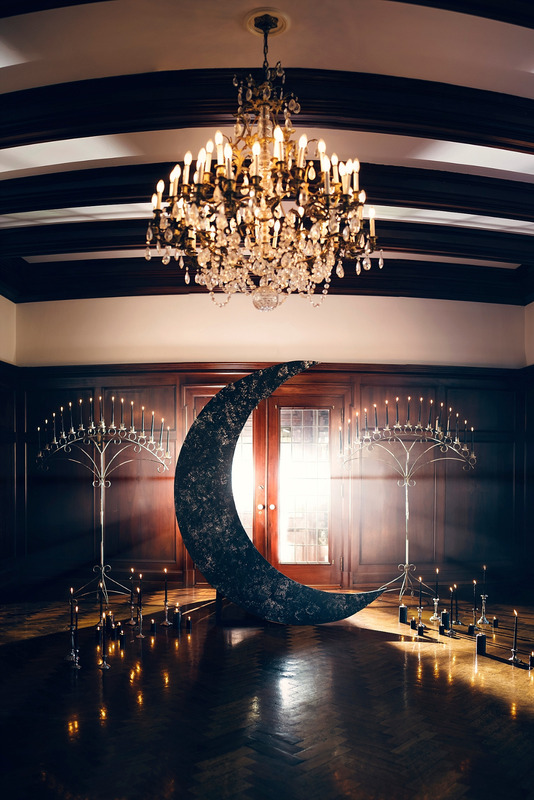 This would be a great inspiration for couples looking for ideas for backlit weddings, that doesn't involve the typical "Christmas lights" arbor, and could encourage couples to think outside the box. 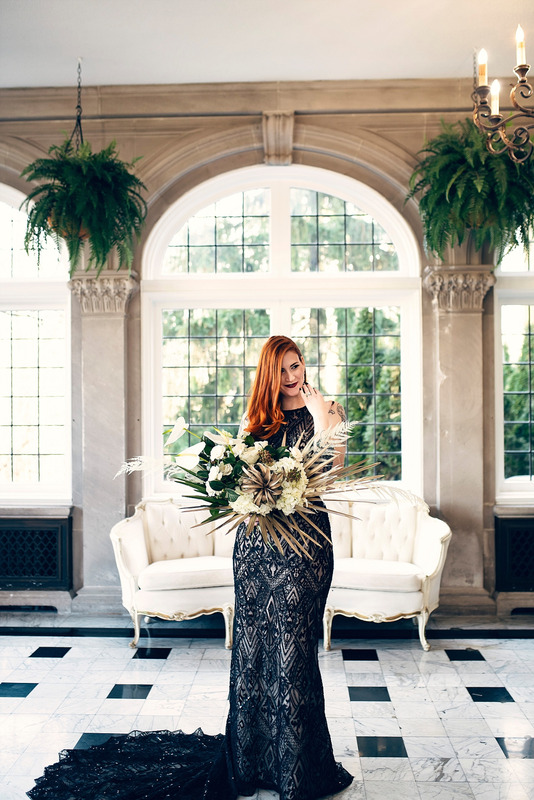 Laurel Hall is a 1920's mansion that gave a dreamy amount of elegance. 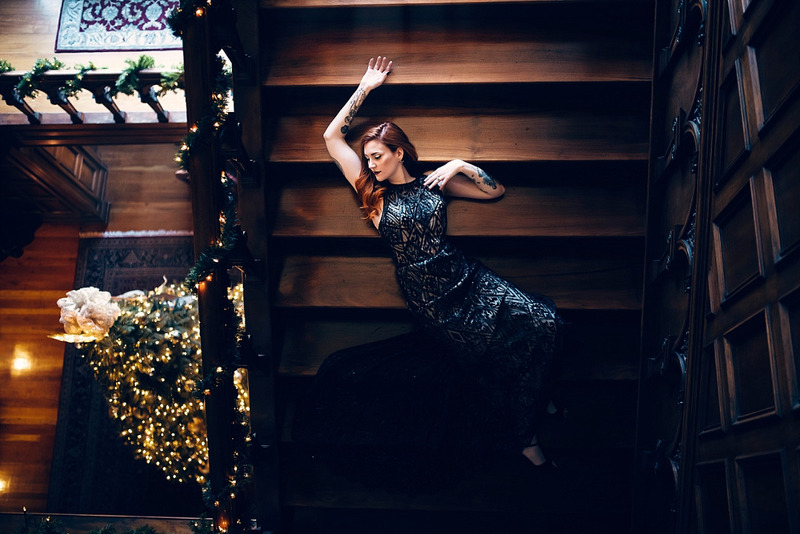 When choosing the venue, we looked for a space that had dark rooms to accentuate the moody night vibe, but also had a lot of windows to allow for light manipulation. 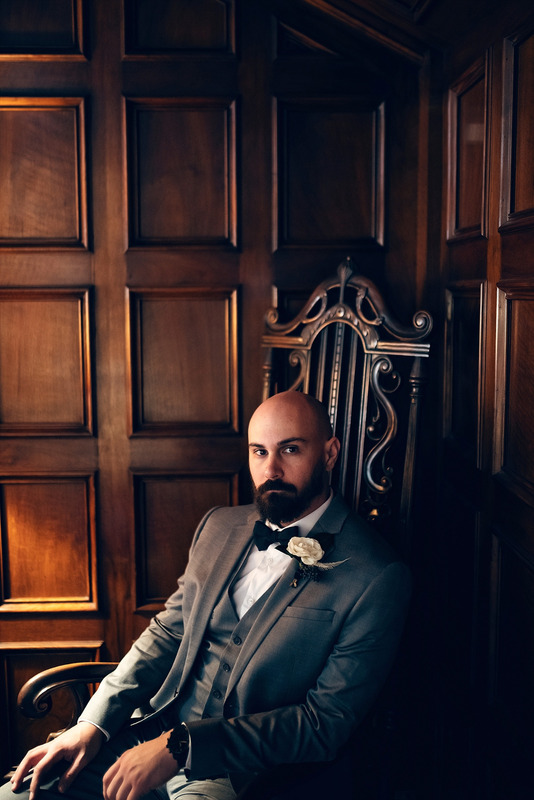 To continue with the bold light effect from their ceremony, we added a soft fog to several parts of the venue to give eerie, ethereal, and dramatic portraits. Fun fact, the venue is said to be haunted and during the shoot, the lights would randomly turn off or flicker! 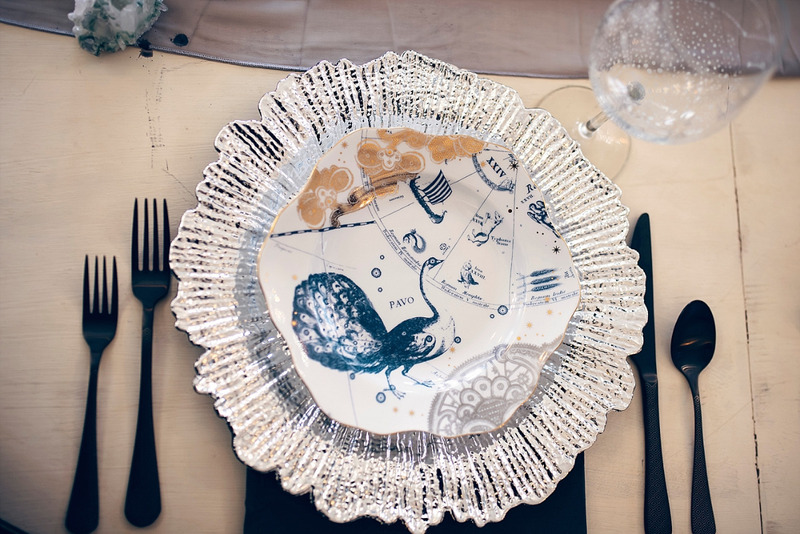 We used bits and pieces from Shelby and Will's personal curated collection for the tablescape; geodes, ornate fabric, and star map embellished plates. 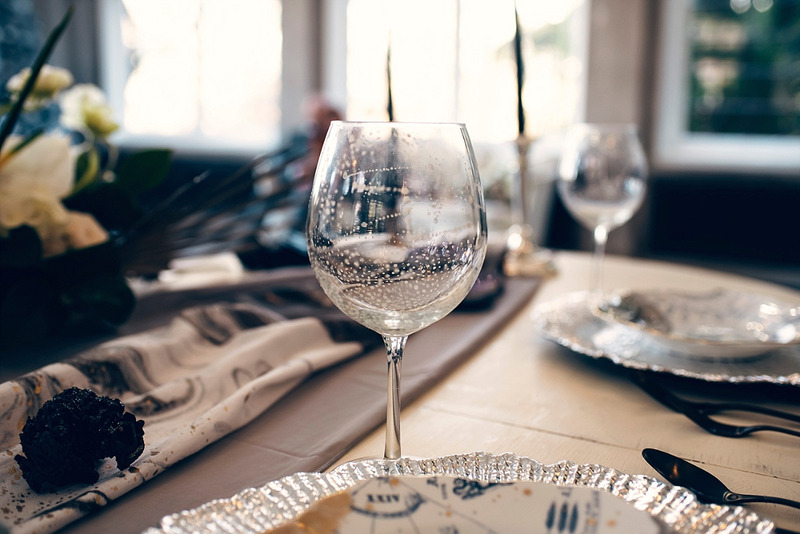 The wine glasses were hand-painted with constellations specifically for this shoot. In contrast to the ceremony, we used the Solarium which was full of natural light for the reception. 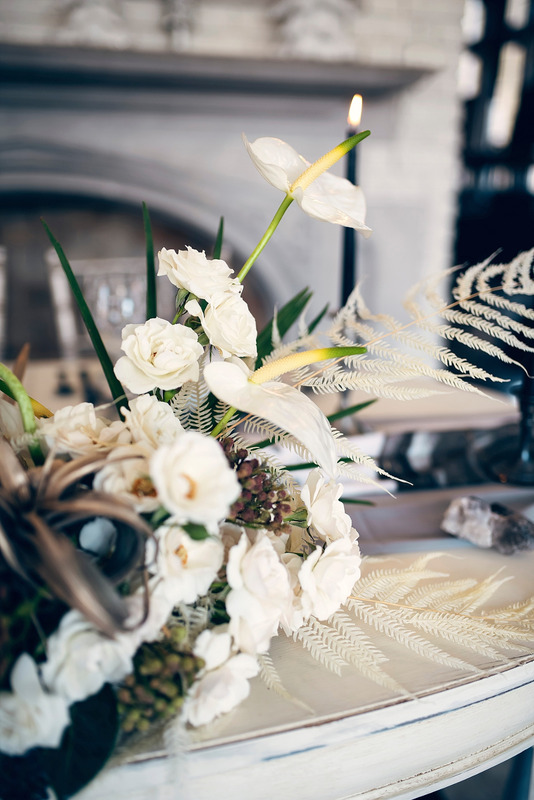 Unlike the ceremony space, the Solarium was created with white stone and marble. 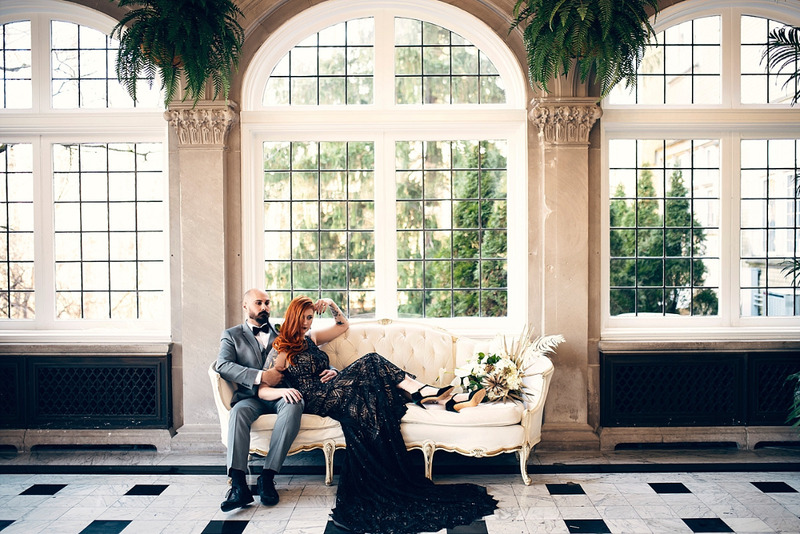 The color scheme for the elopement was very high contrast, so we wanted to do a call back to that with the ceremony and reception spaces. 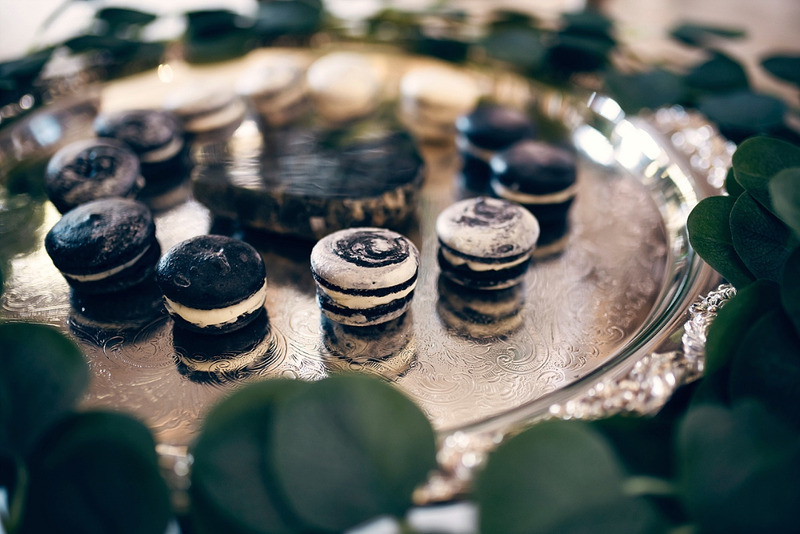 In lieu of a cake, we had lunar inspired macaroons. 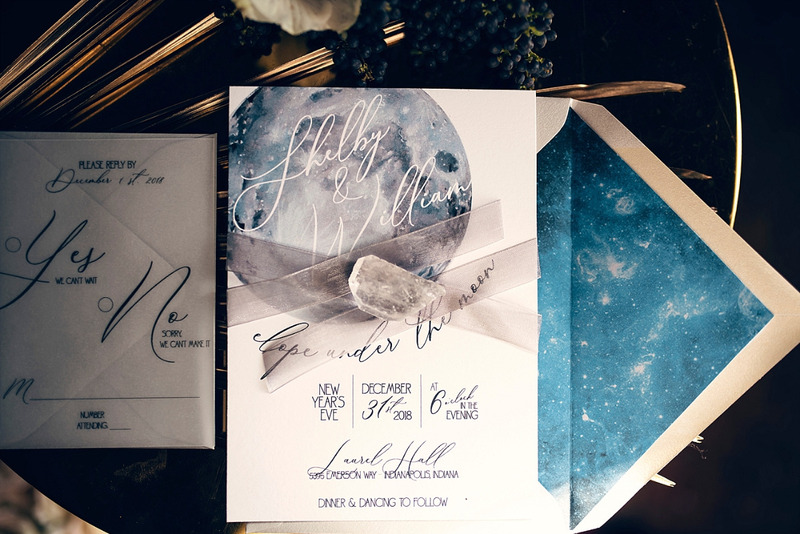 Curious what a lunar-inspired wedding like this might cost you? 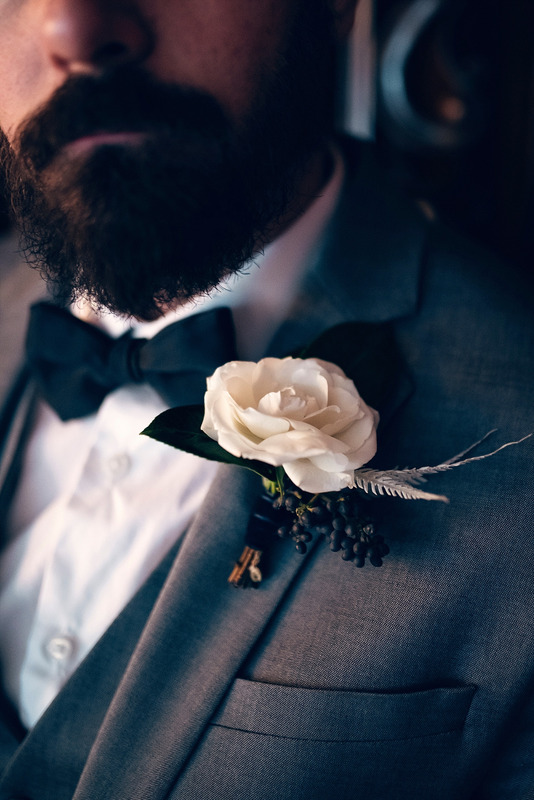 The vendors were kind enough to share their budget breakdown with us below. Please note, costs may vary. 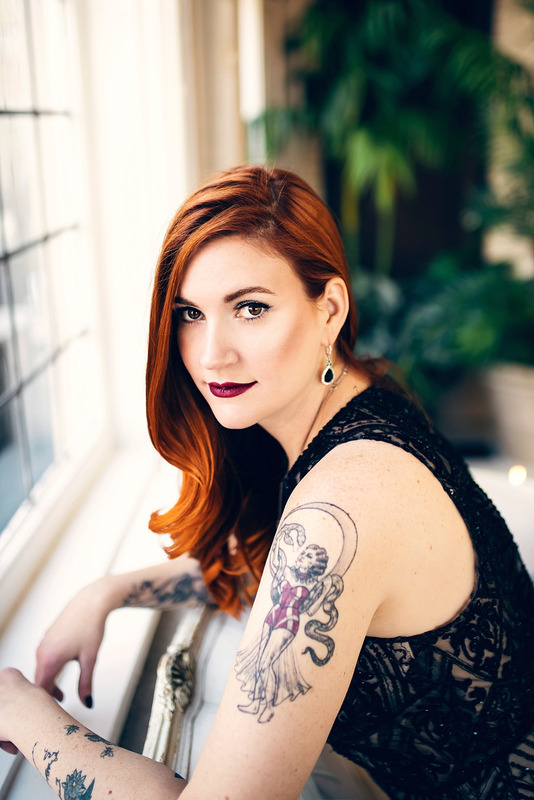 We partnered with Kristen Mittlestedt Photography to share this amazing shoot with you. As always, thank you for supporting our sponsors!